Sunlight, as we all know very well, is completely free, so it doesn’t make much sense for a group of islands in the Pacific Ocean to continue importing expensive oil when there is ample, free sunlight. “With fantastic solar insolation and high electricity prices due to a dependence on imported energy, Hawaii is an ideal solar market,” writes the Solar Energy Industries Association. Fantastic solar insolation means Hawaii has a lot sunlight available for solar power. One thing that has held the state back in terms of developing more solar power has been issues with connection to the grid, because the utilities have been slow to respond to how much interest there has been in solar power from local residents who have been installing their own home solar power systems. Hawaii’s legislature has already set a big goal when it comes to clean, renewable energy: 100% by 2045. So, the state’s utilities now must get onboard with all forms of clean energy, including solar power. For more info on how you can go solar, fill out our quick questionnaire! The feed-in tariff rate is $0.218/kWh, which means this is what someone who has a PV solar power system makes when she or he generates electricity and it flows to the utility. In other words, having a feed-in tariff, allows a solar power system owner to provide clean electricity to a utility so the owner can make some money. These rates may differ on Kauai, Maui, and the Big Island. Through 2019, there is a 30% federal tax credit for residential properties and commercial properties. That drops to 26% in 2020 and 22% in 2021. A 2014 source said that installed solar panel cost was $4.04 per watt. However, prices have dropped since then. A 2011 source referenced $8 a watt for a system installed in 2010, if that gives you any indication of how much prices changed in the four-year period. Also see this solar price drop chart and related links under it. If the average home solar power system is 5,000 watts, the cost before incentives would be about $20,000. With incentives, it would probably be about $13,000, but that depends on which incentives apply. A monthly bill for electricity on Oahu might be about $100 more than on the mainland. Some local residents pay even more, so there is a clear incentive to reduce energy expenditures. Once a home solar power system has been installed, it very well may produce electricity for 20 years, which would most likely result in major savings for the owner. There are some other financial benefits. Some research has shown that homes with solar power systems can sell faster when they are listed and they can sell for about 3% more than if they did not have them. This percentage might sound trivial, but 3% of of a $300,000 home is $10,000. If the system costs $15,000, eventually, at the time of sale, you would get $10,000 back, so the true cost of the system might only be $5,000. If you saved $1,200 per year for 10 years because of the home solar power system, you would actually make about $7,000. This is another fact that isn’t being reported about much — that for some homeowners, they can actually make money by investing in solar power. Not everyone will, but it is possible, and even common in places like Hawaii. 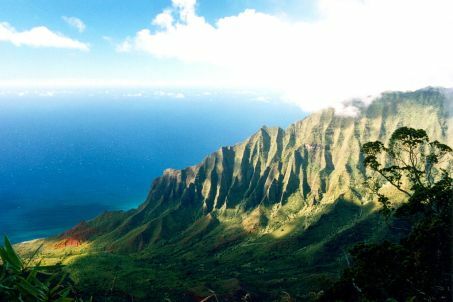 Hawaii is known as one of the most beautiful natural settings on Earth — the droves of annual tourists attest to this very impressive aesthetic abundance. However, something has been amiss there for decades. The islands rely too heavily on imported fossil fuels to make electricity, and have for a long time. Consequently, the cost of electricity has been very high and a solution has not existed. Today, we are all blessed with the cheapest solar power that has ever existed, though many us may still suffer from the misconception that it is unaffordable. This view is untrue. Solar power has never been more affordable. Even if you haven’t ever been to Hawaii, you can imagine that solar power would do well there because of the high levels of sunshine. One of the fascinating things about using fossil fuels is that they tend to have high costs, both financially and environmentally. However, we don’t see many articles about the high costs of fossil fuels because over time we have become habituated to their use. Solar power is already a more sensible option than fossil fuels on the societal level, and often on the individual level as well now. Energy storage will also make solar more appealing, because home and business owners who use it will eventually save money. And if utilities in Hawaii don’t improve their relationship to homeowners wanting to go solar — or who went solar and want it connected to the grid — there’s a good chance these homeowners will one day find that installing energy storage with solar power allows them to skip the grid altogether at a cheaper price.